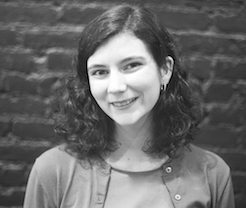 Prior to The Flea, Emilie was Berkeley Repertory Theatre’s Company Management Fellow, the Box Office Manager for the Hollywood Fringe Festival, and an independent producer and director. She is passionate about creating opportunities for artists to take risks, and is thrilled to have the chance to do just that at The Flea! Emilie is a proud graduate of Wesleyan University and a Los Angeles native.